President Donald Trump’s first year in office can perhaps be best summed up with a promise he made during his inaugural address. “We are transferring power from Washington, D.C., and giving it back to you, the people,” Trump said. This belief—that power belongs to the people—has been a guiding thread through his presidency so far. Trump has sharply decreased government regulation, while simultaneously seeking to empower Americans with more wealth and independence. He has promoted Americans’ freedoms and basic rights, such as religious freedom, and worked to bring the government back in line with the powers given it by the Constitution. The strategy is working: Unemployment levels are now the lowest since 2000; the stock market is breaking record after record; consumer confidence is at a 17-year-high; and GDP (gross domestic product) growth is at 3 percent, a mark that some economists had recently considered unattainable. With the passing of the tax reform bill this month, economic growth is expected to accelerate even further. The administration has worked to secure America’s borders while simultaneously going after the violent MS-13 gang. On the world stage, Trump has reasserted America’s position as a moral leader and defender of human rights. He has made it clear that America will no longer accept massive trade imbalances that have hurt American workers and businesses for decades. Trump has reaffirmed trust with existing allies, like Israel, and forged new alliances in the Arab world to fight terror financing and the spread of Islamic extremism. He has forged a warm relationship with Chinese leader Xi Jinping, while at the same time taking a strong stance against China’s trade abuses and theft of intellectual property. In Congress, despite severe obstruction from Democratic lawmakers, Trump has seen the confirmation of 19 federal judges who are strict constructionists in their approach to the Constitution. However, all of this has come at a price. Those opposing Trump’s agenda, including media conglomerates, politicians, and government officials, have actively sought to delegitimize his presidency. Media organizations have resorted to misleading and false reporting. Politicians and government officials have promoted an unproven narrative that Trump colluded with the Russian government to win the election. However, whether Republican or Democrat, no other president in recent decades has pursued the reform and change of course in regard to the American people that Trump has. What follows is an overview of some of the president’s accomplishments during his first year in office. 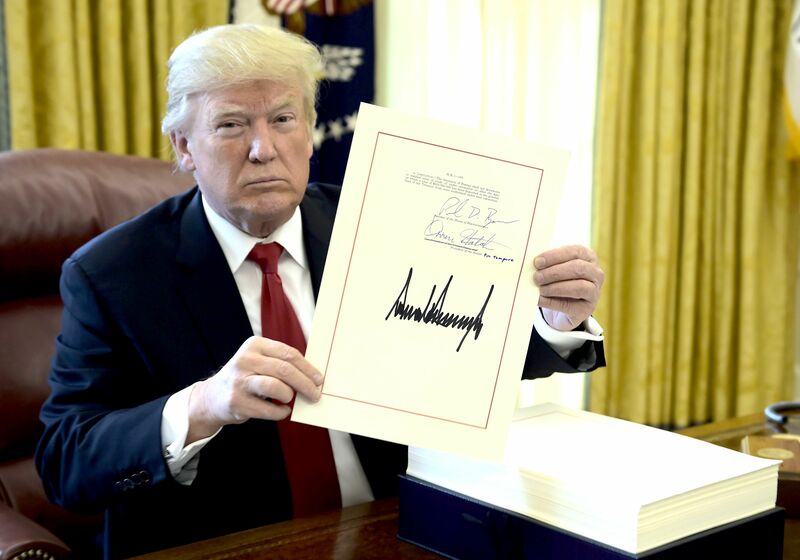 Trump signed his landmark tax reform bill into law on Dec. 22, delivering on his campaign promise to cut taxes before Christmas. The new plan, which takes full effect in 2018, cuts the corporate tax rate by 40 percent, reduces individual tax rates, doubles the child tax credit, and nearly doubles the standard deduction. It also eliminates personal exemptions; makes it less attractive to itemize deductions; limits deductions on state and local income taxes to $10,000; limits the mortgage interest deduction to the first $750,000 in debt; reduces the alternative minimum tax for individuals; and repeals Obamacare’s individual mandate. Tax reform is the first major legislative victory for the Trump administration and the biggest tax code overhaul since the Reagan years. Following the passage of the tax reform, seven major corporations announced bonuses for their employees. The key economic goal of the Trump administration is to stimulate growth, which was stuck in the low 2 percent range while Barack Obama was president. 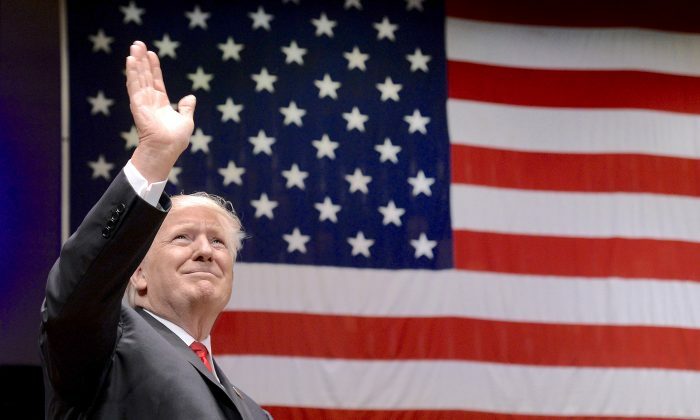 Trump has focused on a goal of a sustained 3 percent or higher economic growth rate, to be achieved through pro-growth policies such as tax reform and deregulation. The economy has already seen some positive effects from Trump’s initiatives. 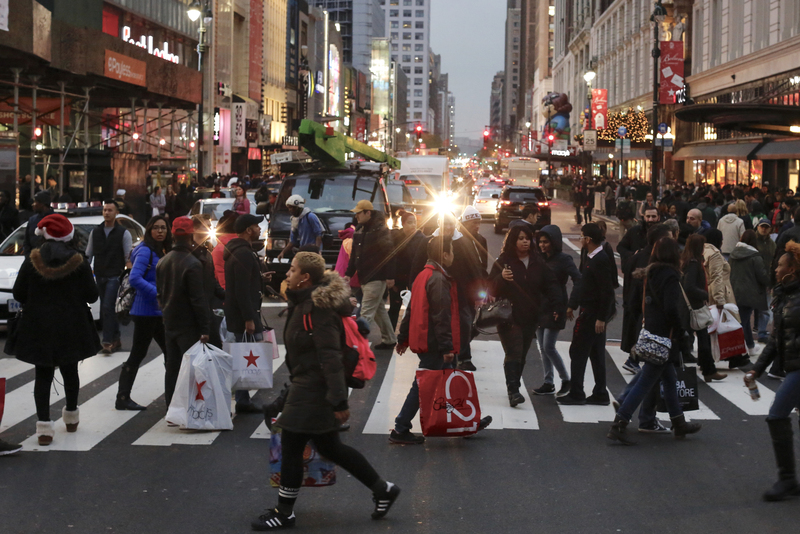 In the second and third quarters of this year, the economy grew at an annual rate higher than 3 percent, beating estimates. The growth was powered by strong business spending. After years of underinvestment, companies are now confident and have started to invest in equipment and technology. In the third quarter, the GDP expanded at a 3.2 percent annual rate despite the damage caused by hurricanes Harvey and Irma. 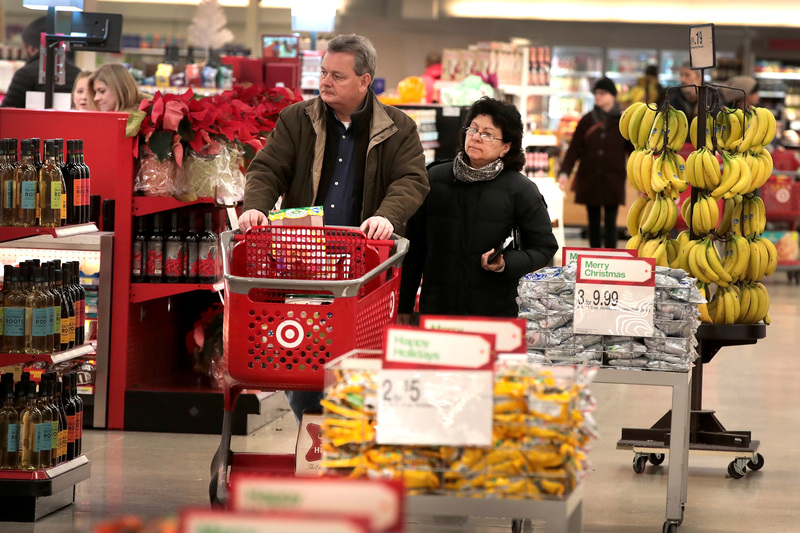 Economists expect the strong growth to continue into the fourth quarter. During Trump’s first year, U.S. employers have added nearly 1.7 million new jobs, and the unemployment rate has fallen to 4.1 percent, the lowest rate in 17 years. 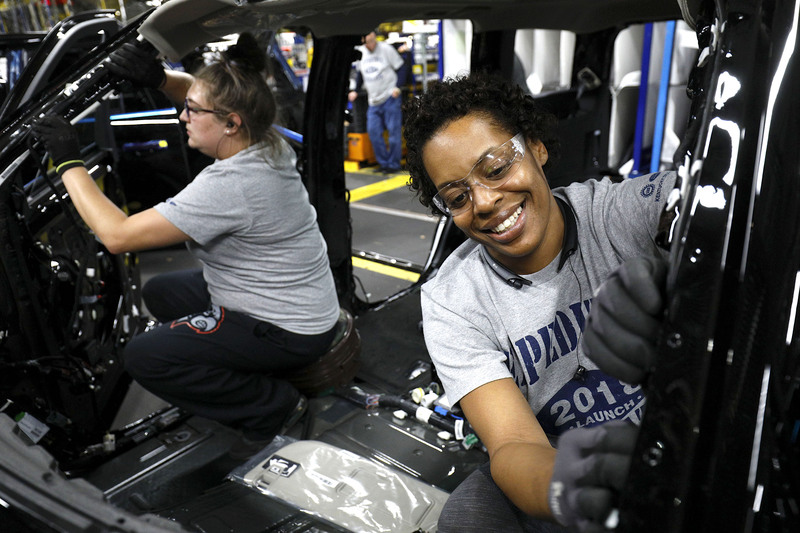 U.S. manufacturers’ optimism has risen to record levels, helping to create 159,000 new manufacturing jobs. Nearly half of manufacturers said tax reform would encourage them to hire more workers and increase wages and benefits, according to a survey conducted by the National Association of Manufacturers (NAM) for the fourth quarter of 2017. In order to improve the labor force participation rate and fix the shortage of workers for skilled positions, Trump signed an executive order in June to reform education and workforce development programs. The plan intends to ease the regulatory burden on apprenticeship programs and integrate classroom learning with on-the-job training. Trump also signed a memorandum expanding access to high-quality STEM (science, technology, engineering, and math) education, with a particular focus on computer science. The tax bill passed in December repeals the individual mandate of the Affordable Care Act (ACA), also known as Obamacare. The individual mandate was highly unpopular. It required taxpayers to pay a fine—either 2.5 percent of household income or $695 per adult and $347 per child, whichever was higher—for not having health insurance. The scrapping of the individual mandate puts Republicans closer to a repeal of the ACA. The act was built on a model in which healthy young people were forced to sign up for health insurance, or else pay a fine, to offset the costs of insuring those who were older or sicker. Trump said he hopes that the scrapping of the individual mandate will allow for Democrats and Republicans to come together to draft new legislation to fix the health care system. A Republican attempt to repeal and replace the bill in July failed, as three Republican senators voted against it. Trump also signed an executive order in October aimed at lowering health care costs and providing millions of Americans with more options. Since the passing of the ACA in 2010 by a Democrat-controlled House and Senate, the cost of health insurance has sharply increased. Last year, states across the country saw an average increase of 25 percent in health care premiums. In Arizona, the increase was as high as 116 percent. 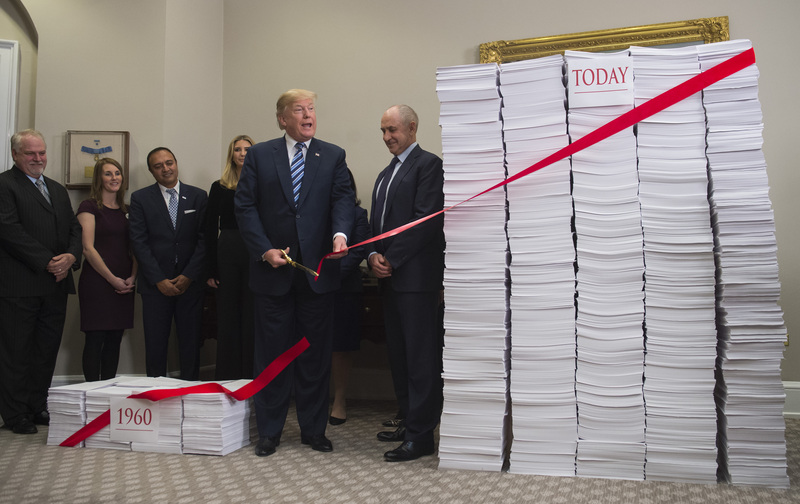 Since taking office, Trump has pushed hard to reduce red tape. In January, he signed an executive order that requires two past rules to be discarded for every new regulation proposed. His administration has canceled or delayed more than 1,500 planned regulatory actions since then. Instead of the two required, 22 regulations have been eliminated for each new rule. By cutting excessive regulations, federal agencies achieved $8.1 billion in lifetime net cost savings, which equals $570 million in savings per year. The administration will continue rolling back regulations in 2018. Federal agencies will cut more than $9.8 billion in lifetime costs in the 2018 fiscal year, according to the White House. 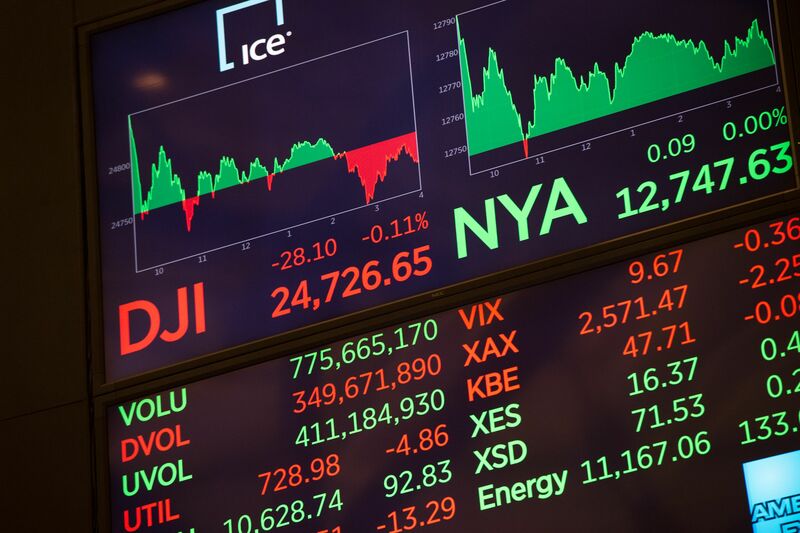 The U.S. stock market took off under the Trump administration, as investors welcomed the administration’s economic policies and its efforts to roll back regulations. And more recently, the market climbed to fresh highs buoyed by the tax reform bill. Dow Jones Industrial Average index has soared nearly 30 percent since Trump’s election in November last year, exceeding 24,000 points for the first time in its history. The Dow recorded its best-ever first year under a new administration since 1945. The blue-chip index hit record highs more than 60 times. The stock market’s surge to record highs helped many people’s 401(k) retirement balances rise as well. U.S. stocks added more than $5 trillion in wealth to the U.S. economy. Economic confidence reached record highs under Trump. The Conference Board Consumer Confidence Index increased for a fifth consecutive month to 129.5 in November, remaining at a 17-year high. Both consumers’ assessment of current conditions and their optimism about the short-term outlook improved. The percentage of people who say business conditions are “good” and jobs are “plentiful” increased. The proportion of consumers expecting business conditions to improve and jobs to rise in the months ahead increased as well, while those anticipating fewer jobs declined. The NAM Manufacturers’ Outlook Survey, which registers manufacturers’ judgment of the current economic climate, recorded the highest annual average in its history in November. Manufacturers saw a significant improvement in their activity in the last year, and they are more positive in their outlook this year compared to in 2016. Manufacturing leaders expect to see growth in sales, investment, and employment going forward. According to the fourth-quarter survey conducted by the NAM, almost 95 percent of respondents said they are positive about their own company’s outlook. Nearly 63 percent of respondents said business tax reform would encourage investment, and more than half said they would add more workers. 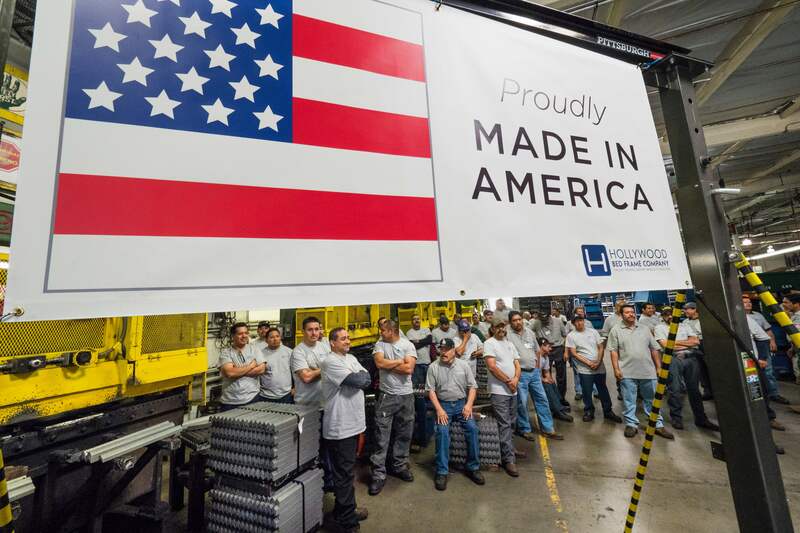 “It is the direct result of manufacturers witnessing a sea change in policymaking in Washington, D.C., empowering them to hire more, invest more, and build more,” NAM President and CEO Jay Timmons said in a press release. 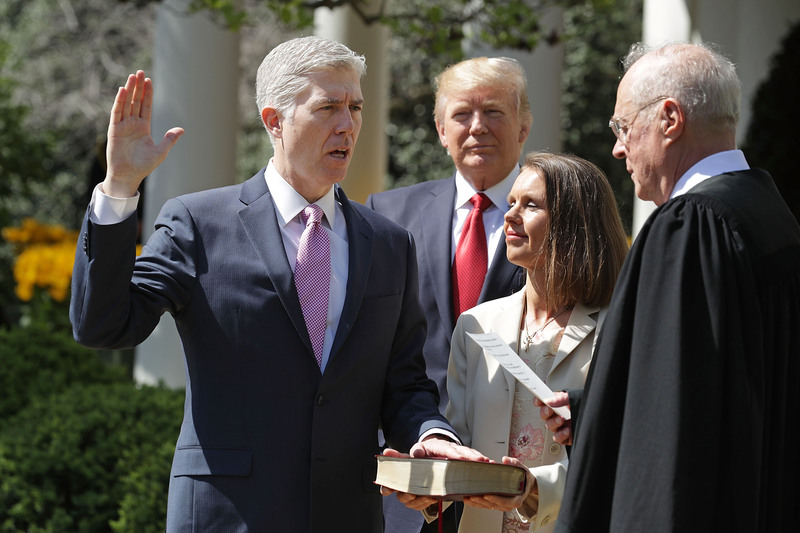 On Jan. 31, less than two weeks into the presidency, Trump appointed Neil Gorsuch, a judge on the U.S. Court of Appeals for the 10th Circuit in Colorado, to the Supreme Court. Gorsuch, 50, could serve for several decades on the court. His appointment returned the court to the status quo ante, with four liberals, four conservatives, and a right-leaning swing vote in Justice Anthony Kennedy. Given the outsized role the Supreme Court plays in deciding how the United States is governed, appointments to the court are often considered the most important domestic policy issue. With three of the nine justices being 79 or older, another seat could potentially open up in 2018. In November, Trump added five more names to his list of potential Supreme Court nominees. Should a vacancy arise, Trump will choose one of the 25 people on the list. White House counsel Donald McGahn said in November that Trump is choosing judges who are “committed originalists and textualists,” referring to a legal philosophy that relies on the ordinary meaning of the language of laws and the original meaning of the Constitution. Building on a campaign promise to rebuild America’s military, Trump signed the 2018 National Defense Authorization Act, which has a $626 billion base budget, up from $523.9 billion in 2017. 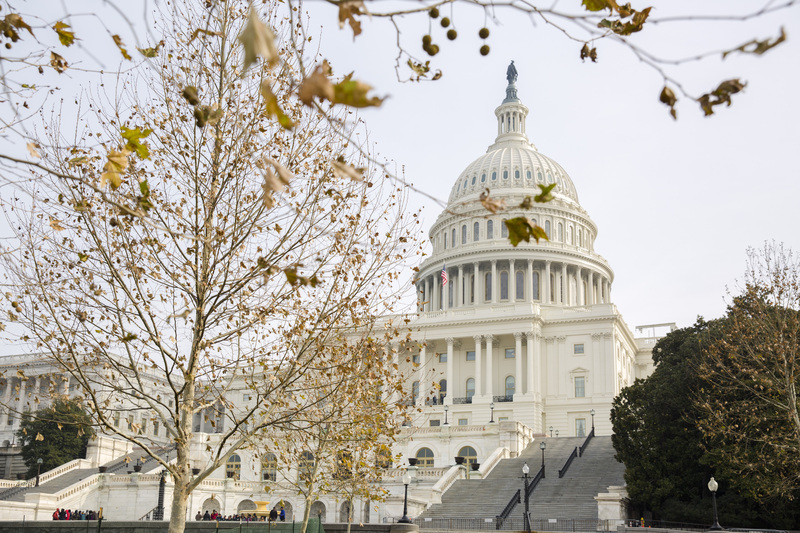 While the act authorizes spending the money, Congress has yet to pass the appropriations bill to fund it. The bill includes an overall increase in spending on the military and on the acquisition of new defense equipment. Among the budgeted expenses are F-35 Joint Strike Fighters, ground combat vehicles, and Virginia-class submarines. 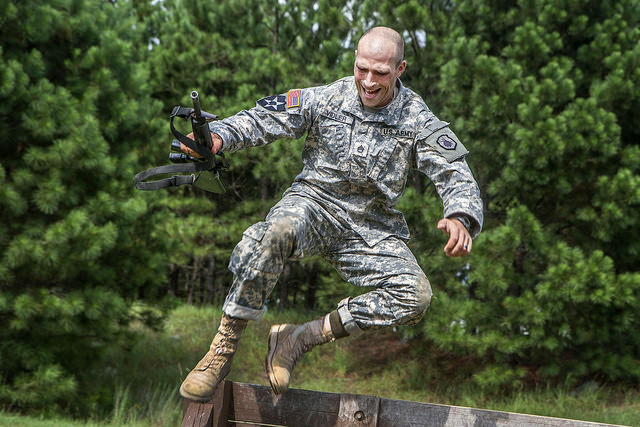 The bill will increase the size of the U.S. Armed Forces for the first time in seven years. It also provides military service members with their largest pay increase in eight years, according to the White House. Since coming to office in January, Trump has implemented a “peace through strength” doctrine, in which military readiness and power are used to discourage armed conflict. “History teaches us that when you weaken your defenses, you invite aggression. The best way to prevent conflict is to be prepared, and really be prepared. Only when the good are strong will peace prevail,” Trump said at the bill signing ceremony. The bill is one of the first moves toward undoing a series of cuts made to the military budget in recent years. On Dec. 6, Trump announced that the United States recognizes Jerusalem as the capital of Israel and will move its embassy there. The United States has been required since the passing of the Jerusalem Embassy Act of 1995 to move its embassy to Jerusalem. But though presidents Bill Clinton, George W. Bush, and Barack Obama all made campaign promises to do so, none of them followed through. Trump, however, delivered on his campaign promise, receiving praise from Israel for the decision. He said the decision did not reflect a change in America’s position on peace talks between Israel and the Palestinians. He also said that specific boundaries of Israeli sovereignty in Jerusalem are subject to final negotiations and that he is prepared to support a two-state solution if one is agreed to by the parties. In 2016, more than 64,000 Americans died of a drug overdose. 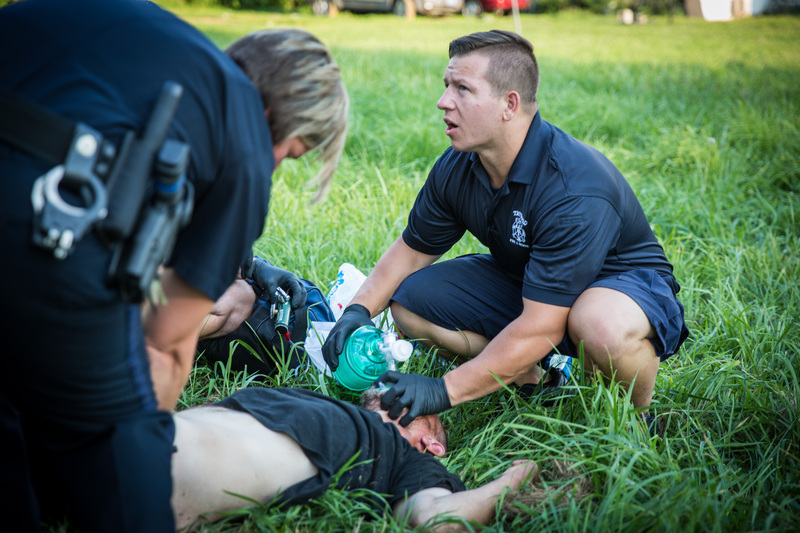 Powerful synthetic opioids like fentanyl are driving overdose rates so high that the death toll for 2017 is on track to eclipse that by half in some areas. Two milligrams of fentanyl is a lethal dose for a non-opioid user. The Trump administration has made the opioid crisis a key focus, creating an opioid commission earlier in the year and declaring a national public health emergency on Oct. 26. The declaration included ways to increase access to treatment and imposed stricter requirements on opioid prescriptions. The Justice Department set up a new Opioid Fraud and Abuse Detection Unit to identify and prosecute over-prescription of narcotics. The department took down an online marketplace hosted on the darknet, which had more than 250,000 listings of illegal drugs and toxins for sale at the time of the takedown. For the first time, the department indicted two Chinese manufacturers of fentanyl. More assistant U.S. attorneys have been deployed in opioid hotspots, and the DEA is expanding its programs. But there is still a dearth of effective treatment programs, jails are full of inmates with crimes related to the opioid crisis, thousands of babies are being born addicted, and thousands of children are being placed into the foster system because of addicted parents. During a 12-day trip to Asia in November, Trump rewrote America’s relationship with its biggest trading partners in the region. 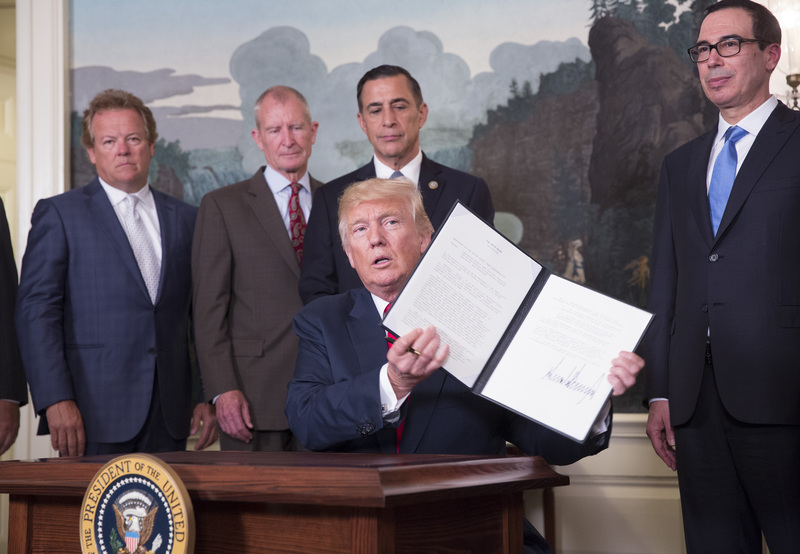 After years of severe trade imbalances, with other countries exporting more to the United States than they import, Trump demanded that trade be reciprocal. “I will make bilateral trade agreements with any Indo-Pacific nation that wants to be our partner and that will abide by the principles of fair and reciprocal trade,” Trump said at the Asia-Pacific Economic Cooperation CEO Summit in Da Nang, Vietnam, on Nov. 10. 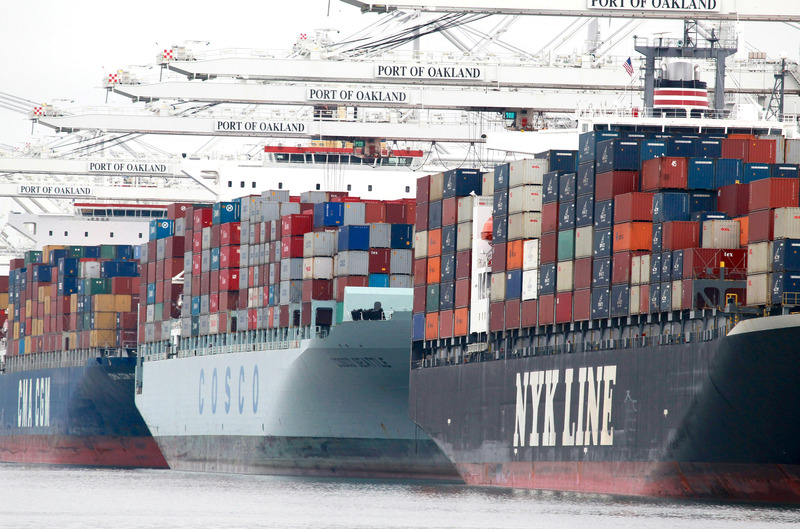 America’s largest trade imbalance is with China. While the United States exported $115 billion in goods to China, it imported almost $462 billion in goods, causing a trade deficit of $347 billion. “We adhered to WTO principles on protecting intellectual property and ensuring fair and equal market access. They engaged in product dumping, subsidized goods, currency manipulation, and predatory industrial policies,” Trump said. During Trump’s trip to Asia as well as other regions, he signed hundreds of billions of dollars worth of deals benefitting American companies. Trump delivered on a campaign promise in June when he signed the Veterans Accountability and Whistleblower Protection Act. 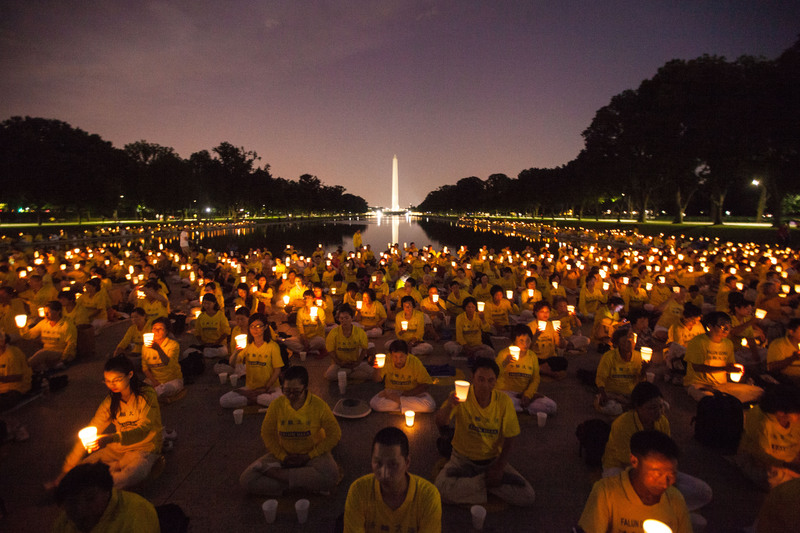 The act is both imminently practical and highly symbolic. Veterans have complained for years of an unresponsive bureaucracy in the Veterans Administration (V.A.) that doesn’t serve their needs, and whistleblowers who attempted to point out the problems have themselves been punished. The act makes it easier to fire employees of the V.A.—encouraging greater responsiveness and accountability—and offers safeguards for those who step forward to point out corruption, abuse, waste, and incompetence. It is also a very public declaration to veterans that shortcomings at the V.A. will no longer be tolerated. This act is one of 19 laws and resolutions the president signed that deal with veterans, along with one executive order and five proclamations. These measures extend the Veterans Choice Program, which that allows veterans to seek private medical care; provides for third-party reviews of V.A. 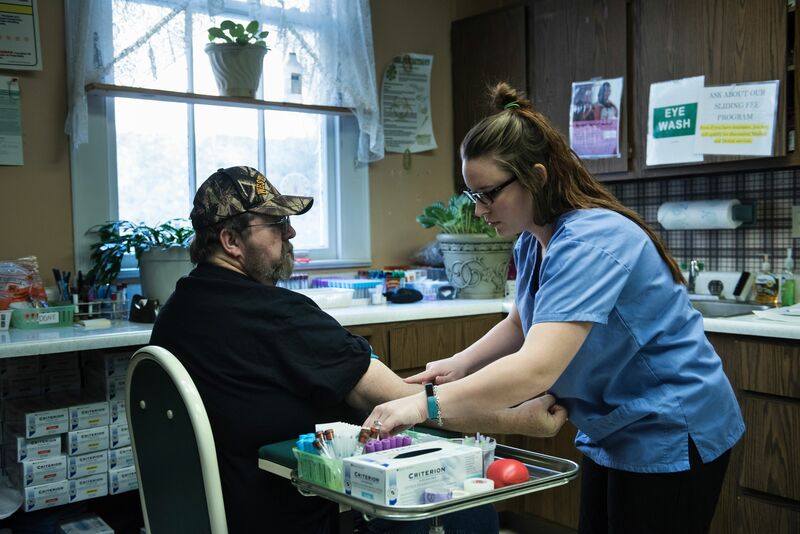 medical facilities; requires the Department of Veterans Affairs to report prescription data to help track opioid abuse; helps businesses develop apprenticeship programs; awards businesses for hiring veterans; provides grant money to help police departments hire veterans; makes educational benefits available for life; improves the process veterans use to make appeals about their benefits; and funds veteran programs and benefits, among other purposes. Trump has taken a personal hand in care for our veterans. He spent Christmas Eve making teleconference calls to veterans stationed in Qatar, Kuwait, and Guantanamo Bay, and patrolling the Strait of Hormuz. 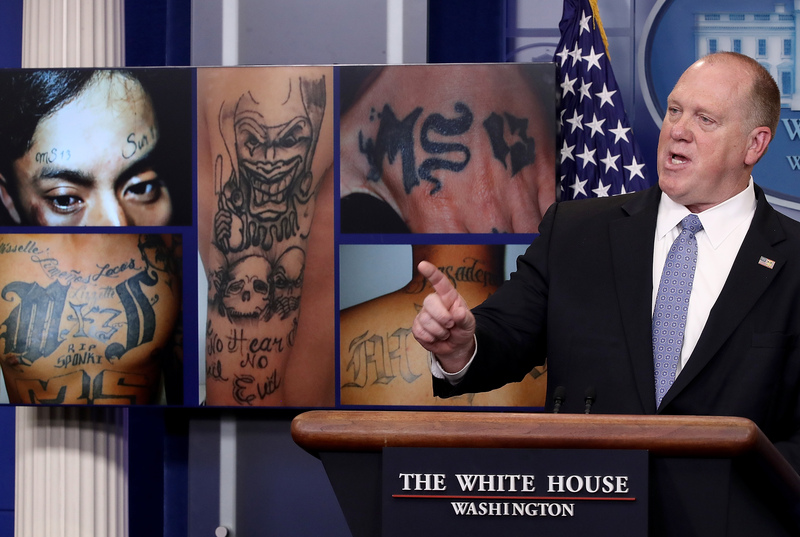 The viciousness of the transnational MS-13 gang, also known as Mara Salvatrucha, has placed it squarely in the administration’s sights for eradication. In the 2017 fiscal year, ICE’s Homeland Security Investigations arrested 796 MS-13 gang members and associates, compared to 434 in FY2016—an 83 percent increase. The vast majority (more than 90 percent in some studies) of MS-13 gang members are in the United States illegally. Most are Salvadoran or Honduran nationals. The gang recruits from the huge flow of unaccompanied minors that come up from Central America and are then settled in places like Long Island, New York, and the Washington metropolitan area. The Justice Department has secured convictions against more than 1,200 gang members so far this year, and the department has worked with Central American authorities to arrest and charge around 4,000 members. In 2018, expect the Trump administration to continue what it started. Trump is also asking for Congress to terminate the Flores Settlement Agreement, a Clinton-era settlement of a class-action lawsuit that requires the release of unaccompanied minors into American communities instead of detention, pending removal. The annual cost of intellectual property (IP) theft to the U.S. economy could reach $600 billion, according to the IP Commission report by the National Bureau of Asian Research. And China accounts for 87 percent of all counterfeit goods seized coming into the United States. It is the world’s top IP infringer. “For too long, this wealth has been drained from our country while Washington has done nothing,” Trump said during the signing ceremony. A previous Epoch Times investigative report revealed how the Chinese regime steals IP from American companies and universities, then sells products made with the stolen innovations back to the United States at largely reduced prices. 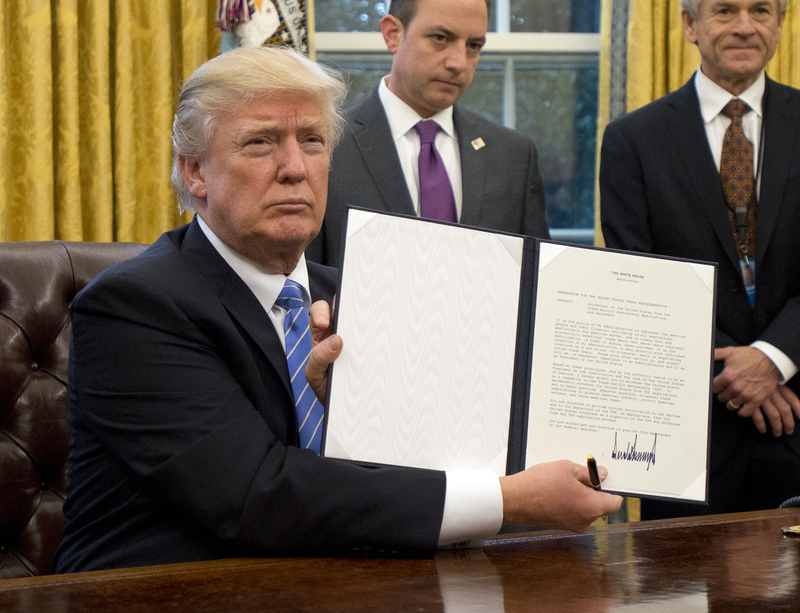 Just three days into office, Trump pulled the United States out of the Trans-Pacific Partnership (TPP), a giant trade deal that had been negotiated by the Obama administration. The treaty had not been ratified by Congress and so withdrawal did not involve any change in U.S. trade practices. The TPP, if implemented, would have made American workers compete with lower waged workers in Asia. Trump has said he prefers bilateral trade deals to multilateral deals. His administration is currently also renegotiating the NAFTA deal with Mexico and Canada. While NAFTA was promised to create hundreds of thousands of new jobs for Americans, critics say that NAFTA led many companies to relocate to Mexico or compete with Mexican firms on U.S. soil, leading to job losses and wage stagnation in America. In 2016, the United States had a trade deficit of over $64 billion with Mexico and $11 billion with Canada. Trump has frequently criticized the trade deal, saying he will terminate it if negotiations fail. Illegal immigration, drug and human trafficking, transnational criminal organizations, the visa lottery, chain migration, and sanctuary cities—Trump is targeting them all as threats to national security. The Department of Homeland Security has focused on enforcing existing immigration laws that had been only loosely enforced for many years. Illegal border crossings on the southwest border are down, with around 304,000 apprehensions in fiscal 2017, compared with 409,000 the previous year. Deportations are up 37 percent, mostly due to enhanced interior enforcement. Trump has made headway with his promised wall ($2.6 billion in funding, plus prototypes built), as well as with placing travel bans on terror-prone countries. Expect a very public battle over Deferred Action for Childhood Arrivals (DACA) legislation, starting in the new year. Trump has given Congress until March to come up with a permanent solution for the almost 700,000 recipients who have been handed a temporary deportation reprieve by Obama since 2012. Trump has said he will not consider an amnesty for DACA recipients unless his immigration priorities are included in the deal. These include a wall along the southwest border, stepped-up interior enforcement of illegal aliens, and a merit-based immigration system instead of family-based immigration. During his first year in office, Trump has taken a strong stand to defend religious freedom and the importance of families as the cornerstone of America. “We stand united behind the customs, beliefs, and traditions that define who we are as a nation and as a people. 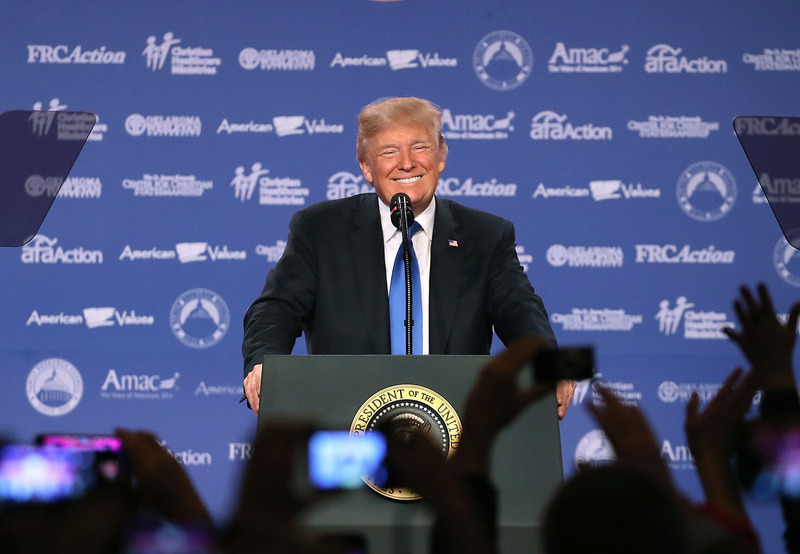 George Washington said that religion and morality are indispensable to America’s … prosperity, happiness, and totally to its success,” Trump said at the Values Voter Summit on Oct. 13. The president has also vowed to repeal the Johnson Amendment, which prevents churches and religious leaders from engaging in politics. He has also placed importance on the family as the cornerstone of American life. “We know that it’s the family and the church, not government officials, that know how to create strong and loving communities,” Trump said at the summit. During his first year in office, Trump has proven that his “America first” agenda does not mean that America is not concerned with the rest of the world. But instead of telling other countries how to live their lives, Trump has said he wants America to be a shining example to the world. With America’s prosperity increasing again, Trump is showing the world that a free and moral people can govern themselves better than repressive regimes. 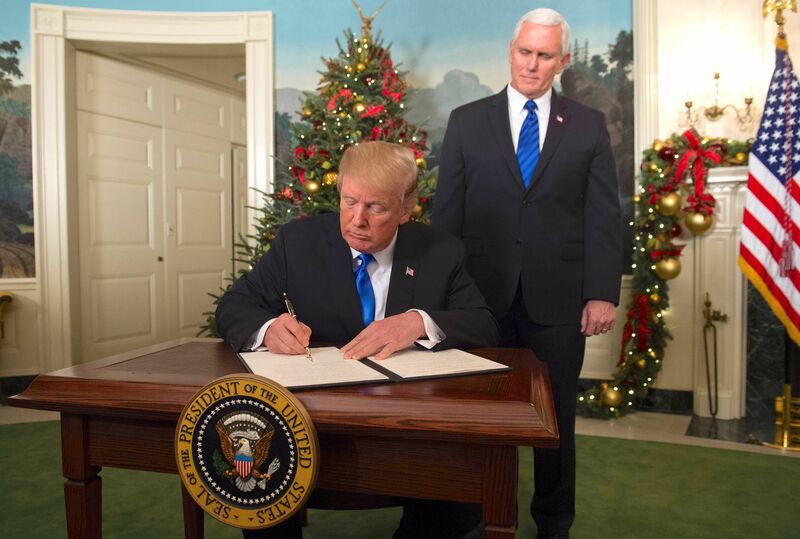 Underscoring America’s commitment to the importance of upholding human rights and stable societies, Trump signed an executive order on Dec. 21 that declared a national emergency to deal with severe human rights abuses and corruption taking place around the world. The executive order allows for the freezing of assets, within U.S. jurisdiction, of foreigners who have committed such crimes. With his executive order, Trump is telling the world that America believes human rights and civil societies are important, and that the country is willing to stand up for them. Trump has made it a priority to reaffirm and strengthen America’s bonds with its key allies. During his first foreign trip, the president visited Saudi Arabia, a key ally in the Middle East. 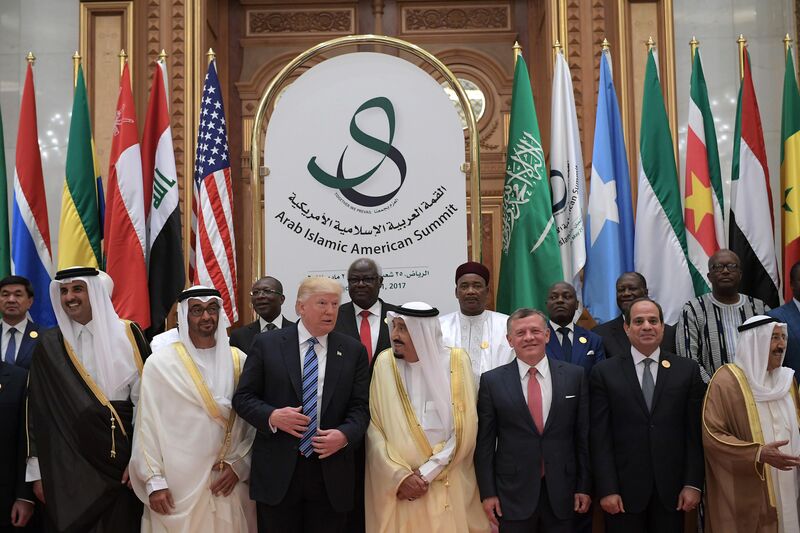 Trump addressed dozens of Arab leaders and gained critical support from the Saudi royal family in combating radical Islamic ideology and the funding of terror groups. The United States and Saudi Arabia agreed to establish a Terrorist Financing Targeting Center to counter terror funding. Trump also visited the newly opened Global Center for Combating Extremist ideology, which aims to counter the spread of extremism. Saudi Arabia’s commitment to reform was underscored in November when hundreds of high-profile Saudis, including 11 princes, were arrested in a sweeping anti-corruption purge. Many of those arrested had ties to the funding of Islamic extremism, as well as ties to U.S. politicians and interests in major U.S. corporations. Trump has also renewed America’s commitment to Israel. During Obama’s presidency, U.S.–Israel relations had deteriorated, especially following the passing of the Iran nuclear agreement in 2015. “We do not have a greater friend than President Trump,” said Israeli Prime Minister Benjamin Netanyahu in February. During a speech in Israel during his visit there in March, Trump said that the United States was committed to helping to realize peace and stability in the region. Trump also decided to renegotiate the Iran nuclear agreement to make sure that Iran would not obtain a nuclear weapon as it is currently scheduled to do by 2026, the year key provisions on uranium enrichment in the agreement are lifted. With the ISIS terrorist group losing control of most of its territory in Syria and Iraq, millions of people have been freed from its brutal control. The terror group was driven out of its main strongholds, Raqqa in Syria and Mosul in Iraq, by U.S.-backed fighters. Since Trump came to office, the U.S. military has intensified its campaign against ISIS, under Defense Secretary Jim Mattis. 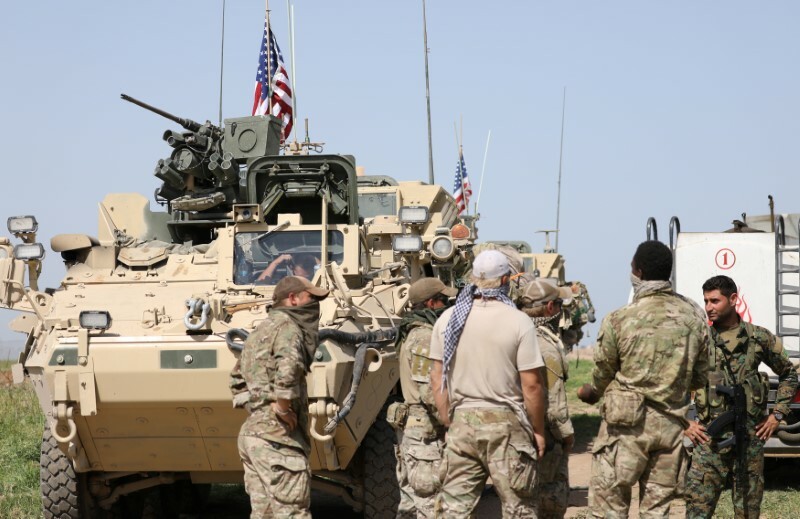 With the loss of its strongholds, ISIS is now scattered, and the United States is working to prevent it from relocating to other weak countries in the region, such as Libya. The terror group quickly gained notoriety around the world in 2014 when it took control over large swaths of territory in Iraq and Syria, submitting residents to its control. With Senate confirmation on Dec. 14 of the appointment of James Ho to the Fifth Circuit Court of Appeals, Trump set a record for the number of Appeals Court judges appointed during a president’s first year, with Ho being the 12th. The previous record of 11 was held by John F. Kennedy and Richard Nixon. When Trump came into office, there were more than 100 vacancies on the federal bench, giving him the opportunity to remake the judiciary. Altogether, Trump has nominated 59 federal judges, and so far 19 have been confirmed, including Supreme Court Justice Neil Gorsuch, six district court judges, and 12 appeals court judges. With federal court judges often deciding the most important questions in society—a role conservatives say has grown far beyond what the Constitution intended—appointments to federal judgeships are intensely contested, with none more so than Trump’s nominees. Observers have characterized the Democrats’ attempted obstruction this past year as unprecedented. They have filibustered two dozen of Trump’s nominees and used up to 30 hours of debate time per nominee in an attempt to limit the number of judges the president can succeed in appointing. Ho, a former Texas solicitor general, fits the profile of a Trump appointee. At 44, he is young and, with a lifetime appointment, he will be able to serve for decades. He is conservative and a strict constructionist, meaning that he believes in applying the law as written. Trump argued that America has been shackled by a psychology of scarcity that diminished quality of life and made America vulnerable to hostile, foreign regimes. In fact, the need for scarcity was based on a lie, he said. America has “near limitless supplies of energy”—including 100 years worth of natural gas and 250 years of coal—and these put the goal of dominance in reach. 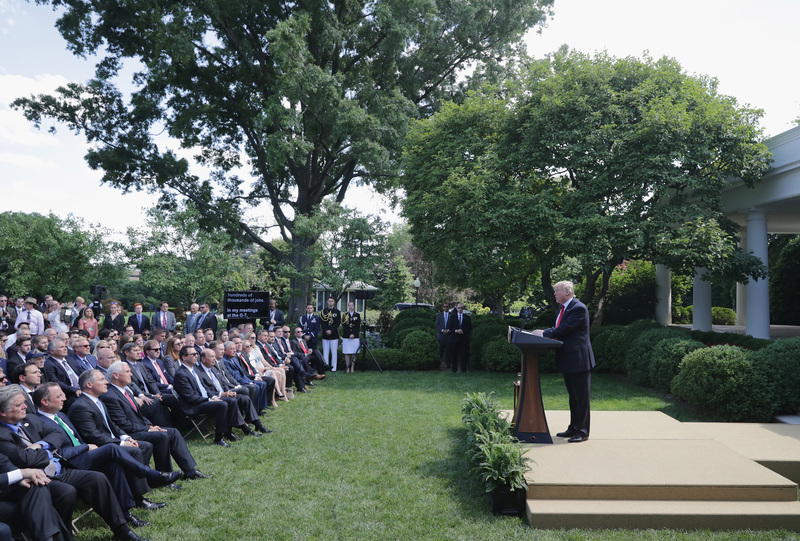 By striving for dominance, America can ensure its prosperity and sovereignty, and it can unlock “millions of jobs and trillions of dollars in wealth,” while helping provide energy security for America’s friends around the world, said Trump. Given the strong partisan divide in Congress, Trump has needed to pursue his strategy of energy dominance through executive orders and presidential memoranda in which he orders or instructs the bureaucracy, with two significant exceptions. The Republicans in Congress were able to repeal a recent Obama regulation, the Stream Protection Rule, which the administration considers unnecessarily restrictive on coal mining. And the just-passed tax reform bill has a provision opening a section of the Arctic National Wildlife Refuge to oil drilling. Using executive action, Trump has done the following: approved the Keystone XL and Dakota Access pipelines; ended the moratorium on coal leases on federal land; opened large parts of the continental shelf to energy exploration; begun the process of ending the Clean Power Plan, an Obama-era regulation that the Trump administration believes was meant to end coal as an energy source in the United States; withdrawn from the Paris Agreement; and approved new liquid natural gas terminals and otherwise encouraged the export of natural gas. 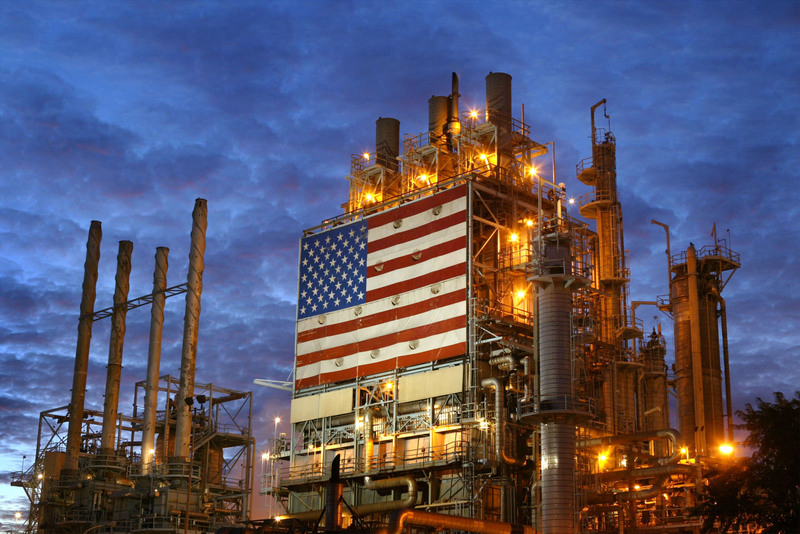 According to the International Energy Agency, the United States is on course to become the world’s largest exporter of natural gas. Coal exports have surged this year by 55 percent. Trump withdrew the United States from the Paris Agreement, saying it would disproportionately hurt American businesses and workers. “The Paris Climate Accord is simply the latest example of Washington entering into an agreement that disadvantages the United States to the exclusive benefit of other countries, leaving American workers—who I love—and taxpayers to absorb the cost in terms of lost jobs, lower wages, shuttered factories, and vastly diminished economic production,” Trump said on June 1. Under the agreement, the United States would have been forced to immediately comply with stringent limitations, while other countries, such as China, would be given 13 more years before they would be required to start reducing emissions. Citing statistics from the National Economic Research Associates, Trump said that the implementation of the agreement could have cost as many as 2.7 million jobs in the United States by 2025. “As someone who cares deeply about the environment, which I do, I cannot in good conscience support a deal that punishes the United States—which is what it does—the world’s leader in environmental protection, while imposing no meaningful obligations on the world’s leading polluters,” Trump said. Trump said he was open to renegotiating the agreement and that, in any case, the United States would be committed to being a leader in environmentalism. “We will be environmentally friendly, but we’re not going to put our businesses out of work and we’re not going to lose our jobs,” Trump said. Trump announced on Oct. 13 that he would not recertify the Iran nuclear deal, but instead would seek to improve it. Under the agreement, officially called the Joint Comprehensive Plan of Action (JCPOA), Iran temporarily stopped its nuclear program in exchange for sanctions relief and the release of more than $100 billion in assets. 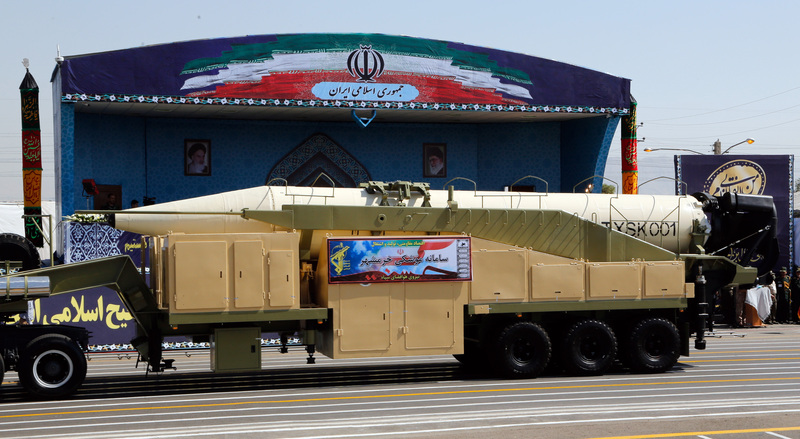 However, after 10 years, in 2026, the agreement allows Iran to install thousands of advanced centrifuges, which experts say will put it on course to develop a nuclear weapon within six months. “The clock is ticking down. We know when the trigger date is,” Secretary of State Rex Tillerson said during a briefing. Trump said that the United States will stay in the nuclear agreement for now while it tries to renegotiate part of the deal, or reach a separate agreement that addresses problems that the original deal did not cover. These areas include the time limits on some of the restrictions and the fact that Iran’s development of ballistic missile technology was not included in the nuclear agreement. Trump has been a fierce critic of the agreement, describing it as an embarrassment to the United States and the worst deal he’s ever seen. Tillerson said the Trump administration will take “a much broader strategic approach” to the problem. Trump has made a point of forcefully rebuking the media for false reports on him, exposing like no other president has before the amount of fake reporting that’s done. “Wow, so many Fake News stories today. No matter what I do or say, they will not write or speak truth,” Trump wrote on Twitter on Oct. 4. Research by Pew Research Center published in October proved the media’s reporting on Trump was significantly biased. An analysis of more than 3,000 stories across 24 different media organizations during the first 100 days of the Trump presidency found that reporting on Trump had been the most negative compared to that on other presidents in the past 25 years. Since Trump won the presidency in November 2016, much of the media coverage has sought to question the legitimacy of his presidency, creating divisions in society. Most media organizations reported extensively on the allegations of collusion between the Trump campaign and the Russian government. However, many of the stories relied heavily on anonymous sources from within the intelligence community, resulting in frequent erroneous reporting. 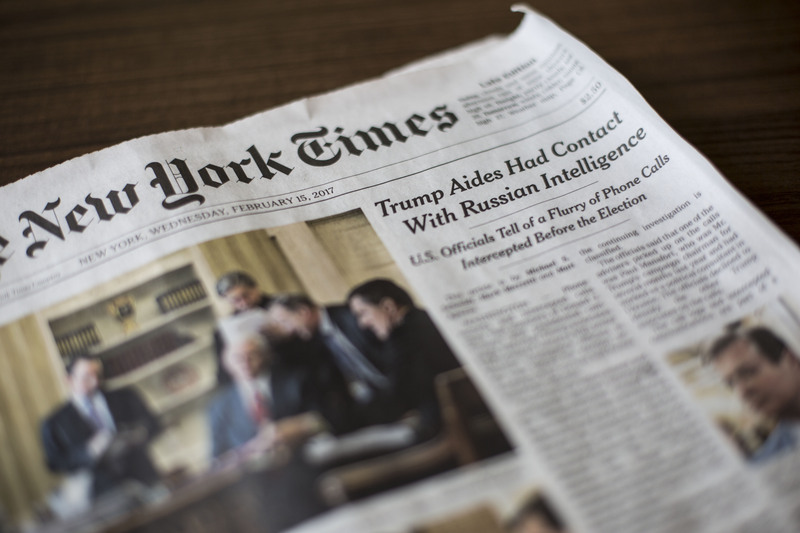 One such story, published on the Feb. 15 front page of The New York Times, claimed that members of Trump’s 2016 had repeated contact with Russian intelligence officials. The story was later debunked by former FBI Director James Comey. During testimony before the Senate Select Committee on Intelligence on June 8, Comey said it would be correct to characterize the story as almost entirely wrong. Trump has taken a strong stance against communism and socialism, describing them as failed ideologies that have harmed millions of people. “The same failed communist ideology that has brought oppression to Cuba has brought nothing but suffering and misery everywhere and [in] every place it has been, anywhere in the world,” Trump said during an Oct. 6 event at the White House celebrating Hispanic Heritage Month. “Communism is the past. Freedom is the future,” Trump said. Trump has reversed Obama’s policies on Cuba that benefited the regime. Instead, Trump said that American dollars would not enrich the Cuban military and the Cuban regime, and that sanctions will not be lifted until all political prisoners and dissidents are released. Trump also denounced the authoritarian ideology of socialism. “We also stand with the people of Venezuela who are suffering under the ruthless socialism of the Maduro regime. We reject socialist oppression, and we call for the restoration of democracy and freedom for the citizens of Venezuela,” Trump said. 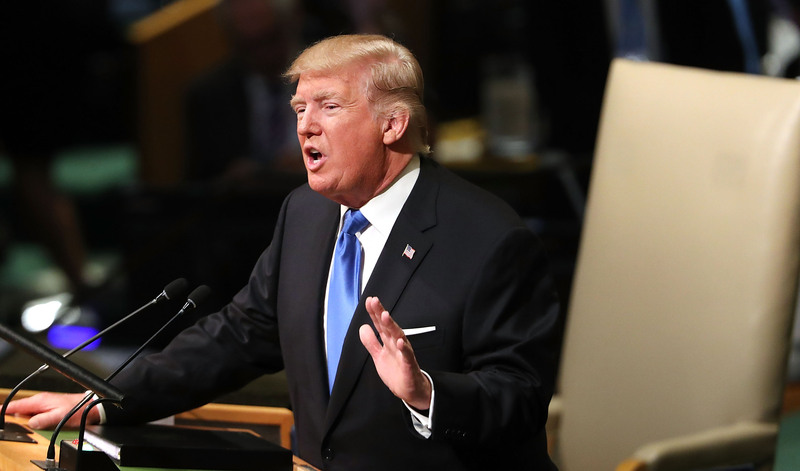 The president also took his message directly to the world, exposing the failures of communism and socialism in his speech before the 72nd U.N. General Assembly in September. Trump and his cabinet responded well in advance and with overwhelming federal support to the devastating hurricanes that hit Texas, Louisiana, Florida, Puerto Rico, and the Virgin Islands. The federal rescue and relief efforts were first praised by Texas Gov. Greg Abbott, whose state was hit worst by Hurricane Harvey. “I’ve got to tell you, I give FEMA a grade of A+, all the way from the president down,” Abbott said at the time. Trump was closely involved in the rescue efforts himself, providing the governors with disaster declarations and the federal funding needed to respond to the disaster. Trump and First Lady Melania Trump traveled to Louisiana, Florida, and Puerto Rico, and twice to Texas. 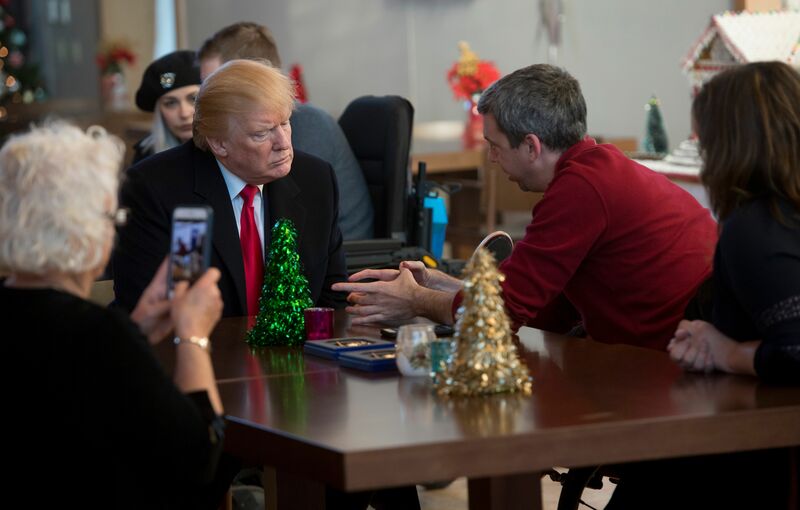 On his first trip to Texas, Trump brought several of his cabinet members, such as Linda McMahon, head of the Small Business Administration (SBA), so that they could meet and start working with state-level officials on the rebuilding efforts. The SBA, as well as the Federal Emergency Management Agency (FEMA), have been providing financial aid to those affected by the hurricanes. 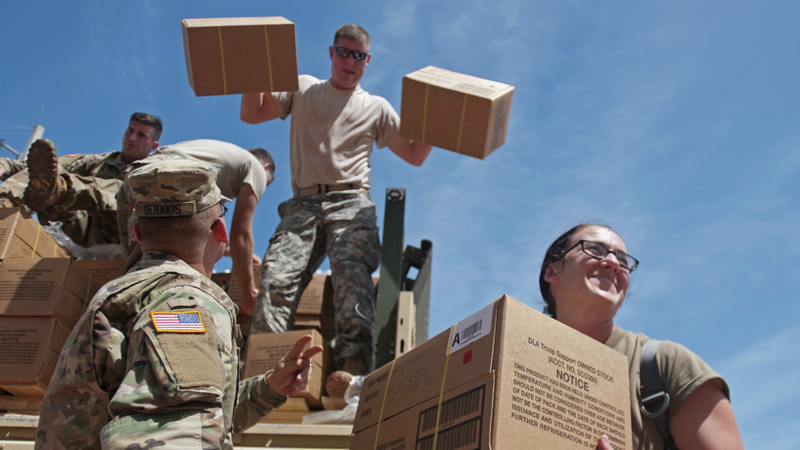 In Puerto Rico, regular military troops and the National Guard were deployed to help reach people to deliver food aid after the island was hit by two devastating hurricanes, Irma and Maria. The U.S. Army Corps of Engineers is still deployed to Puerto Rico and is working on rebuilding critical infrastructure, such as bridges. As of early December, FEMA had provided medical aid to more than 37,000 people.